Whether you are optimizing, upgrading, or moving to a completely different electronic health record (EHR) system, you are making a large financial investment for the care of your patients. You have organizational changes to contend with, staff to train, and interoperability, compliance and regulatory standards to reach. If you don’t implement your EHR correctly, the future care of your patients and the financial stability of your organization could be in jeopardy. 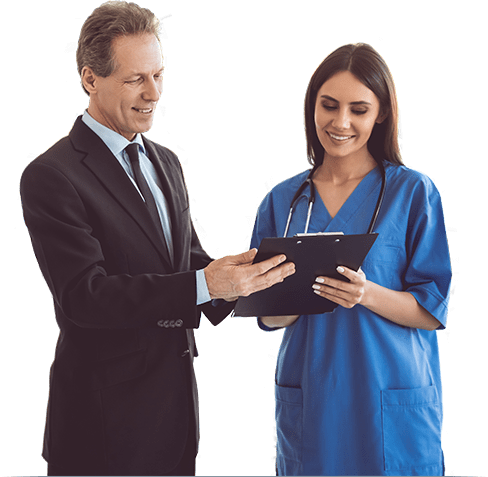 Optimum Healthcare IT has the people, the tools, and the experience to ensure that your EHR is implemented correctly and smoothly. The EHR changes the way your staff works. The implementation process requires careful attention to how change is managed and how your staff handles it. Whether you are a large multi-facility IDN, an Academic Medical Center, a single hospital, or a physician network; our on-site executive leadership team can lead you through a successful implementation. In healthcare, the EHR is the most important technology tool used to provide care to patients. If not implemented correctly, both the quality of care and the financial stability of an organization can be at risk. As a complex health system currently running five disparate Electronic Health Record systems that was moving to Epic, INTEGRIS needed to thoughtfully and efficiently engage its operational customers to avoid automatically replicating legacy build and thoughtfully and efficiently deliver best practice workflows and build to provide their patients and staff with an optimal EHR experience within their approved budget. Learn how Optimum Healthcare IT successfully implemented Epic’s Enterprise Electronic Health Record system and saved INTEGRIS Health over $6.5M. Community Connect is not just one-sided. Extending or receiving, understanding what is required as a partner should be evaluated. Optimum can guide you. Are you an activation consultant interested in open positions at Optimum? Please visit the Join the Team page to submit your information and resume. A member of our team will contact you thereafter.